''And here we are now – 50 magazines from 19 different European countries joined together forming the worlds most prestigious multimedia magazines association. In June each year, the editors-in-chief from all EISA member magazines meet to decide which of products analyzed in their publications during the past year deserve the coveted EISA Award. The six categories under consideration are: Audio, Video, Home Theater, Photography, In-Car Electronics Electronics and Mobile Devices.''. 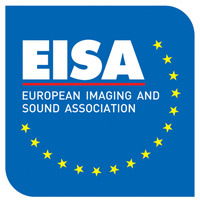 Below you will find the lenses that have recieved an EISA Award.